Representing the ultimate in style and quality, our Sumptuous Antique French Chest of Drawers is beautifully hand crafted using fine quality gold leaf which is carefully and skillfully applied to the piece. The craftsman then hand finishes the item with fine detailing using pre-thought out themes and carefully selected paints, then uses several layers of lacquer to create a stunning work of art. 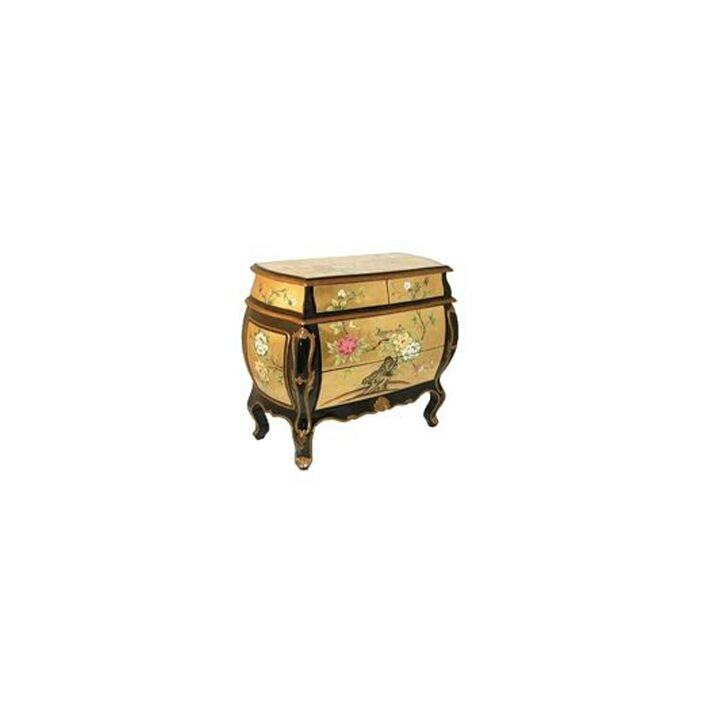 So add some exceptional style and elegance in your wonderful today with this marvelous chest, also working well complimented alongside our shabby chic bedroom furniture.